Another country with so much to offer from the Alps in the north to the seaside walks of the south. 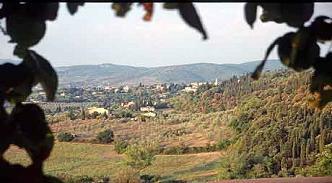 There is Tuscany, the Umbrian Alps, the 5 villages of the Cinque Terre and of course Umbria. Puglia in the Mediterranean south is unknown while the Lakes district in the northern is quite the opposite. You can stay in the one place and do daily walks or cycle trips or stay in a different place every night with your luggage carried for you. You can wander among ancient monasteries, through medieval villages, primeval forests or along blossoming fields or cycle around Lake Como. Why not combine a walk in Italy and a cycle in France. Avoid the crowds and the heat and don't go in July and August. Rome and Florence are best in October while September is the best time to visit Venice and the Lake Como area. Italy goes at a slower pace than many other parts of Europe and so should you. So please don't rush around. If Italy is your whole holiday then visit the north first.